You will invite an array of guests to your wedding! After all, this is a once in a lifetime experience, and you will want to share it with all of your closest friends and family members. However, while you will wish that everyone you invite will be able to attend, this unfortunately may not be the cause. But, there are some ways in which you can share your big day with those who can’t be present! Are you aware of what they are? -Watch It Live. Technology is great. Therefore, you should certainly utilize it on your wedding day! By having someone livestream your nuptials as your celebration unfolds, those who are unable to attend can simply tune in, making it as though they are there for your festivities. This is an easy and efficient way for you to share your big day! -Post Hashtags. By creating a specific hashtag for your wedding, your guests can then utilize it when posting any photos that they take on your big day to their social media sites. This way, guests who can’t attend can simply just search for your specific hashtag, and be able to view all of the posted photos from your celebration. -Send the Memories. 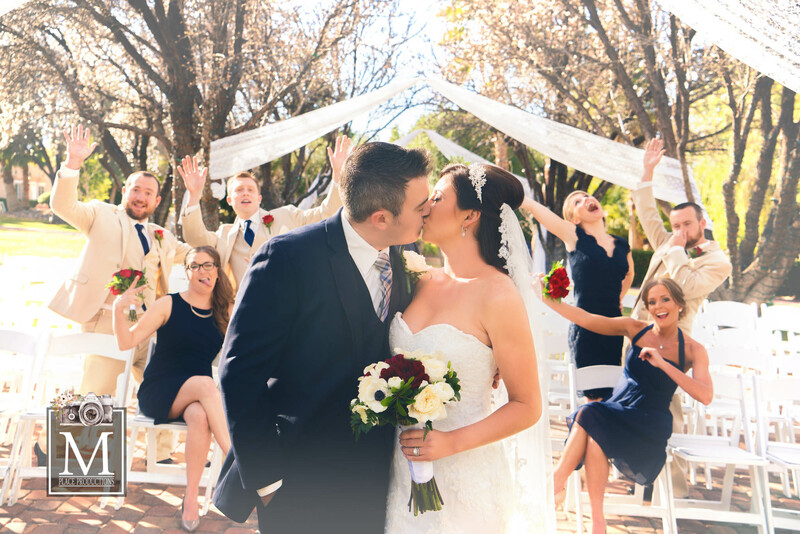 You will most likely hire a professional photographer to capture all of your wedding memories! So, know that after the big day, you will be presented with an abundance of beautiful photos. You can then take these photos and create lovely albums to send to those guests who were unable to attend your wedding. All of your loved ones should be able to experience your big day! These are just a few ways in which you can share your own wedding with guests who were unable to attend. We love the opportunity to capture precious wedding memories! So, if you are all set to hire your own wedding photographer in Las Vegas, Nevada, please contact us here at M Place Productions, as we would be pleased to photograph your celebration!